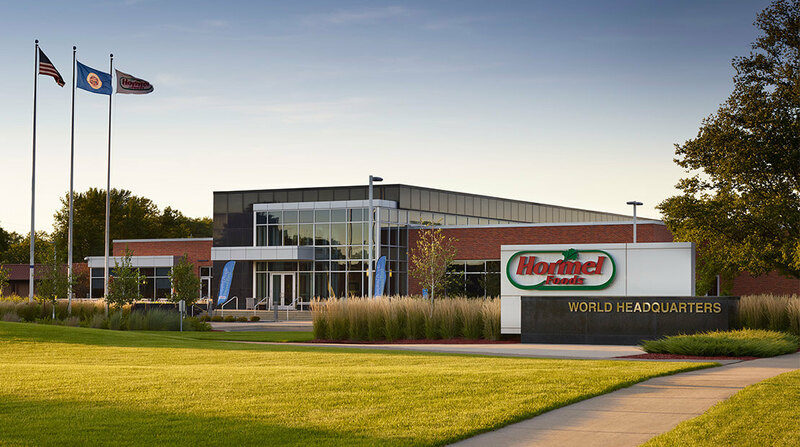 Hormel Foods Corporation (NYSE: HRL) today announced the upcoming retirement of William (Bill) Burke, Jr., president of Burke Marketing Corp. (Nevada, Iowa). As a result of his retirement, David F. Weber, Hormel Foods foodservice Southeast regional sales manager, has been named as his replacement. Burke Marketing Corp., acquired by Hormel Foods in 2007, manufactures and markets pizza toppings and other fully-cooked meat products for the foodservice and prepared foods industry. Product lines range from traditional pizza meat toppings to meatballs, Mexican meat fillings and breakfast meats. During his 39-year career, Bill has held a variety of roles for Burke Marketing Corp., which was founded by his father, Bill Burke, Sr. After graduating from college, he worked in sales and was challenged with growing the company’s sales and customer base. In 1986, Bill advanced to sales and general manager and in 1991 was named president. Under Bill’s leadership, Burke Marketing Corp. has grown fivefold. Weber began his career with Hormel Foods in 1992 as a foodservice sales representative and became a foodservice territory manager later that year. In 1995, he advanced to foodservice account manager, and in 1997 transferred to the Corporate Office (Austin, Minn.) as a foodservice associate product manager. Weber advanced to foodservice product manager in 1999, and to foodservice corporate national accounts manager in 2001. He returned to the field in 2004 as a foodservice area manager and has held his current role of foodservice Southeast regional sales manager since 2006. 75 years of SPAM Hormel will celebrate Spam’s dodranscentennial on July 28 and show off Hormel’s corporate office expansion with a ‘Spamtastic’ celebration. Pepperoni tops it all at Swiss American Swiss American Sausage Co. produces about 600,000 pounds of salami, linguica, beef toppings and bulk sausage for pizza restaurants nationwide. Hormel Foods Corporation, based in Austin, Minn., is a multinational manufacturer and marketer of consumer-branded food and meat products, many of which are among the best known and trusted in the food industry. The company leverages its extensive expertise, innovation and high competencies in pork and turkey processing and marketing to bring branded, value-added products to the global marketplace. The company is a member of the Standard & Poor’s 500 Index, Dow Jones Sustainability Indexes, Maplecroft Climate Innovation Indexes, Global 1000 Sustainable Performance Leaders and was again named one of “The 100 Best Corporate Citizens” by Corporate Responsibility Magazine in 2011. The company enjoys a strong reputation among consumers, retail grocers, foodservice and industrial customers for products highly regarded for quality, taste, nutrition, convenience and value. For more information, visit https://www.hormelfoods.com.